We are very proud to announce that Certified Benz & Beemer has been named as the 2019 DealerRater Used Car Dealer of the Year for the State of Arizona. This award recognizes the top U.S. and Canadian auto dealers who demonstrate excellent customer service as expressed by consumer reviews written on DealerRater.com. With its most recent award, Certified Benz & Beemer has been named Used Car Dealer of the Year for Arizona for 7 of the last 8 years and was the Used Car Dealer for the entire USA in 2013. 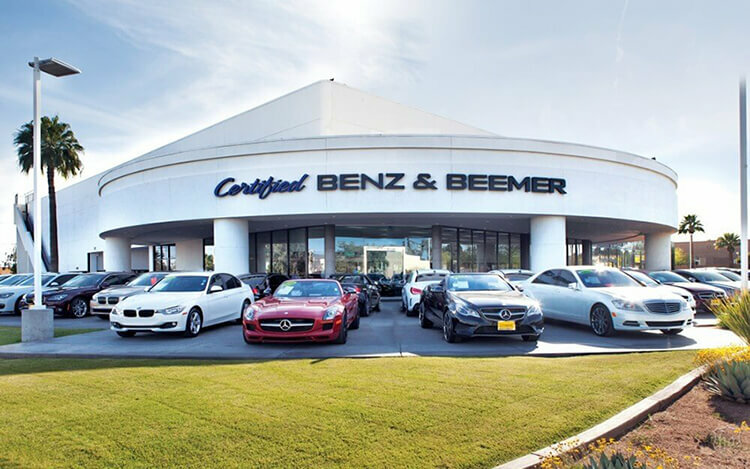 "Car buyers have spoken and have identified Certified Benz & Beemer as the best Used Car Dealer to do business with in Arizona," said DealerRater General Manager Jamie Oldershaw. "The quality and number of reviews for Certified Benz & Beemer speak volumes of the top-notch experiences they provide to customers." The DealerRater Dealer of the Year Awards are based on reviews by new- and used-car shoppers and those who took their vehicles into dealerships for service. "Today's car shoppers pay attention to reviews and a dealership's online reputation, which makes the significance of the DealerRater Dealer of the Year Awards crucial to dealers looking to thrive in today's business environment," added Oldershaw. DealerRater has a reachable audience reach of more than 32 million consumers each month.